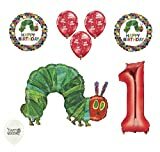 Here’s the fun bit, festooning the birthday party venue with The Very Hungry Caterpillar themed decorations. 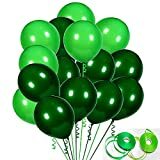 We’ve got some lovely ideas to adorn your home or venue for the special first birthday party. 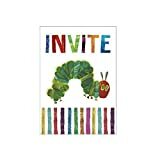 Welcome the guests to the birthday party and show them the way with this lovely caterpillar sign. 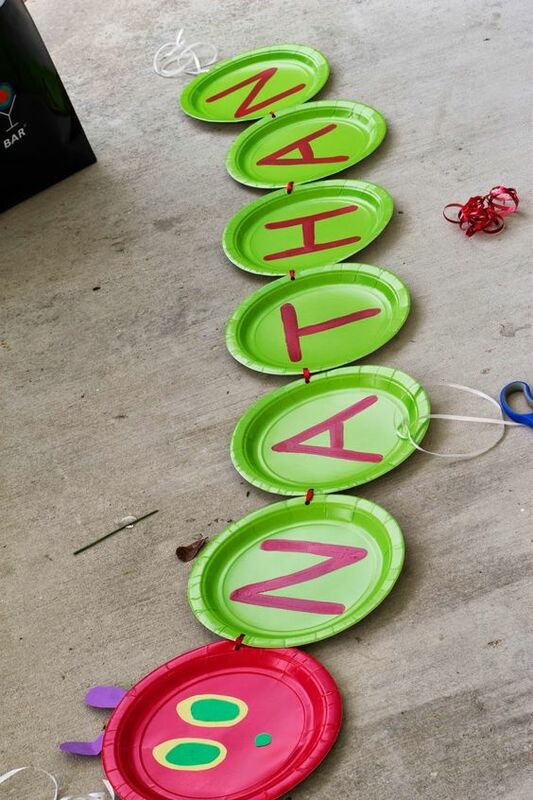 It’s really easy to create with four paper plates, three green for the body and one red for the head, or as many plates for the length you’d like. 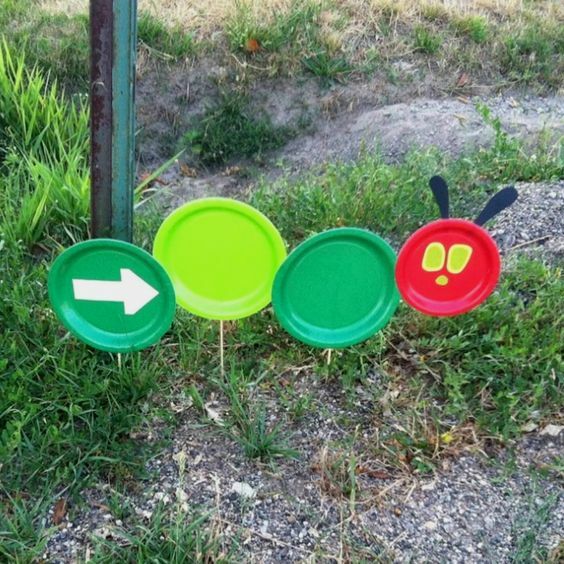 Then add the caterpillar’s features. 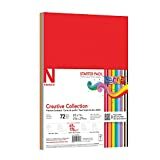 You can also personalise it with your child’s name and age. 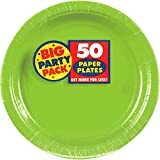 Amscan Kiwi Green Dessert Paper Plate Big Party Pack, 50 Ct.
Set the theme for the party and invite the guests to the fabulous feast with these adorable apple Hungry Caterpillar invitations. 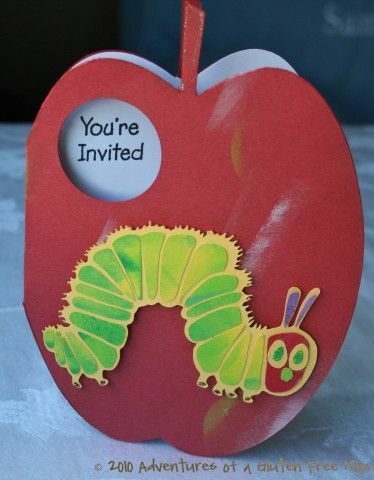 Craft them yourself by using red card folded in half, cut into an apple shape then add a small hole. 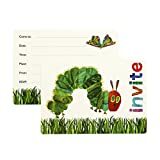 Decorate it with a little cardboard caterpillar, images can be found online. 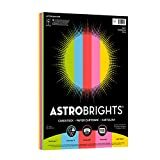 Line with white paper to add your message. 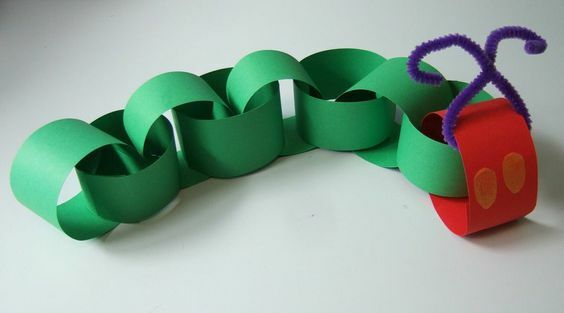 These paper chain garlands are so straightforward and are made with strips of red and green paper. 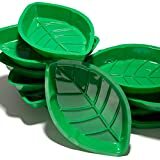 Then fasten them together with glue or tape. Once you achieved the desired length add the red head and pipe cleaners for the antennae and hang up. 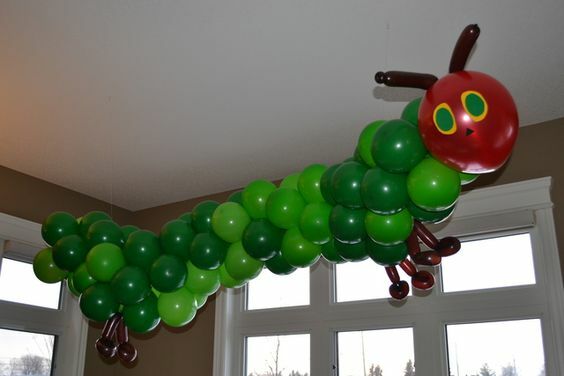 Make this really simple caterpillar balloon decoration with as many green balloons as you’d like for the body, and one red balloon for the head. 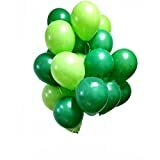 We think it’s best to use helium balloons so they will float, but you could just stick them to the wall to save money. 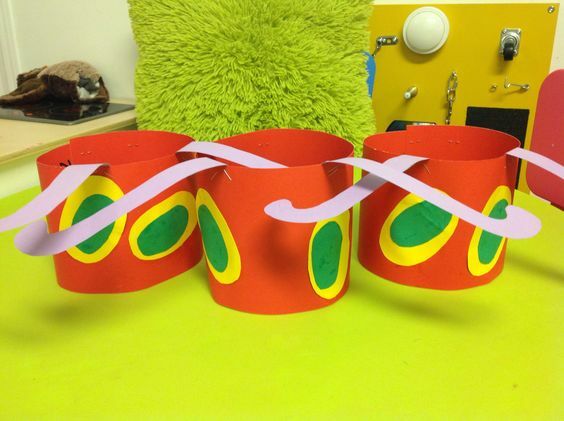 Then just arrange in a caterpillar shape and add features such as antennae, eyes, and feet, using black cardboard. Finally, arrange above the party table. 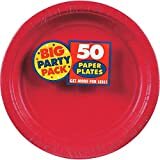 Another striking design, but this time using paper plates to make a birthday banner. 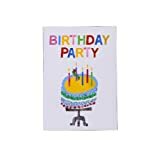 Really simple to personalise just add as few or as many plates as you need to make ‘Happy Birthday’ and the child’s name and even age. 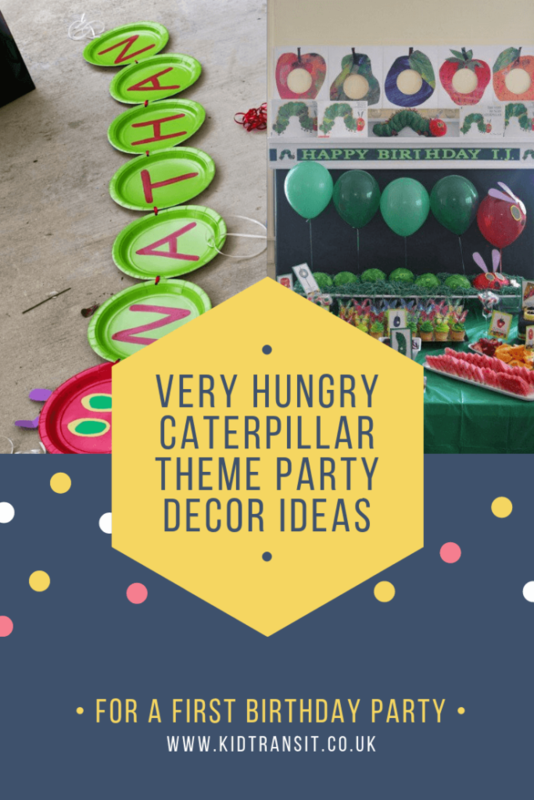 This eye-catching themed party table is adorned with balloons, food images from the story, caterpillar birthday cake, party food and much more – we think it looks very impressive. We think this food photo booth is such a lovely idea. Take photos of all the guests behind large images of food from the story and use as a memento of the special day. 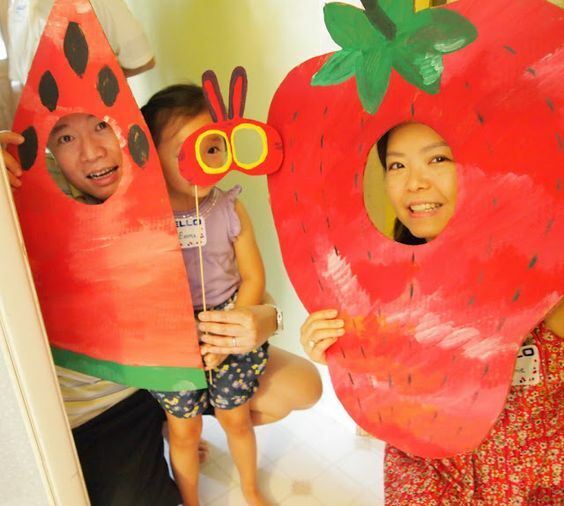 The children will love seeing themselves dressed as a strawberry or piece of melon. 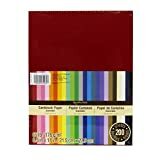 If you take the photos with an instant camera they could be added to the party favours too. 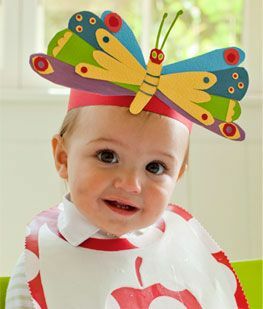 Butterfly and caterpillar party hats. 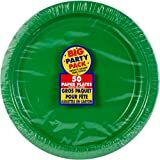 We all know children love wearing party hats and these charming ones fit the theme perfectly. 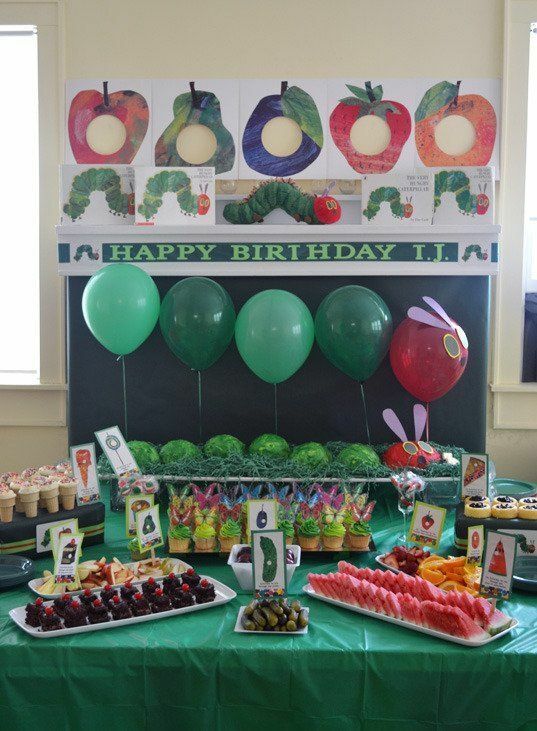 Unsure if The Very Hungry Caterpillar is the birthday party theme you want? 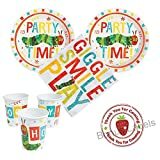 We have loads of other first birthday party themes for you to browse.